Soviet astrophysicist, Nikolai Kardashev, introduced the Kardashev Scale in 1964. This scale is a prediction of what a civilization would go through to eventually become gods, essentially. This method has been criticized unsurprisingly, but even if it isn’t an accurate scale of what is to come for human civilization, it definitely gets the imagination going. There are three original steps that were thought up by Kardashev, but additional steps have been unofficially added that are very interesting. This is where we are currently. This is a civilization that harnesses its energy from its home planet. A civilization that is able to harness the energy needed to meet the demands of their population, from being in control of all energy of the home planet while even being able to control the weather, earthquakes, volcanoes, etc, while being able to harness all desired energy from our star. 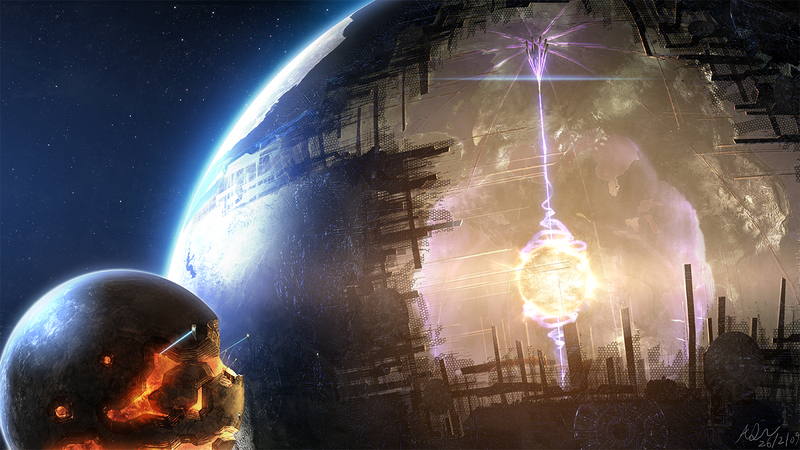 Having the ability to create structures such as a “Dyson Sphere”, which would be capable of harnessing the all energy that a star would give off in its lifetime. It is speculated that a star was found last year that could have a Dyson Sphere around it, because a lot of the light that we should be seeing from the star isn’t reaching us. A civilization capable of inhabiting an entire galaxy while also being able to harness all energy from it. They would be able to move planets and stars, harness energy from supernovae, and even create their own stars. Step 4 typically is seen as a civilization that has essentially taken over the universe and can manipulate it at their will, while type 5 is where multiverses can be controlled and inhabited. In Stage 6, a civilization can live outside of time and space itself, becoming omnipotent. To anyone that may find this scale as laughable, read up on the Allegory of the Cave. The idea presented by Plato, which tells a story of people inside of a cave, chained to a wall their whole lives. All they know that exists are themselves, and the shadows that move on the wall in front of them. This is all they know and is all they think exists. They are obviously ignorant to the fact that an entire outside world exists with things that they could not even imagine, which we live in every day. I believe we are living in our own cave to an extent. There is so much that we do not know about the universe, that dismissing any theory is irresponsible.